Divine orgonite heart shaped cabochons made from Red Carnelian.Carnelian is an energy-boosting sacral chakra stone. It restores vitality and motivation, as well as stimulating creativity. Its joyful energy is life-affirming and helps you trust yourself and be grounded in your current reality. 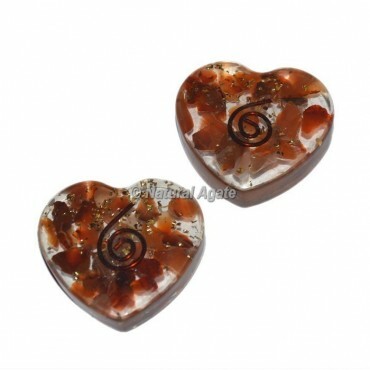 Carnelian encourages courage and confidence.Order online now.